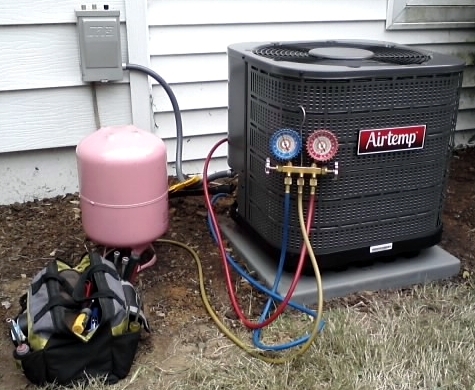 ManorAirCare is a family-owned and operated HVAC business specializing in indoor comfort and savings with business hours that are tailored to your schedule. Leaving work early, or taking the day off to be home while the serviceman is there may not be necessary due to our flexible scheduling. Being a small contractor allows me to charge less than a lot of other competitors out there. NO trip charge. NO diagnostic fee. Just $60/hr.rate during normal business hours (normal business hours include weekday evenings up to 8pm and scheduled Saturday work). After hours rate is $95/hr. I will also schedule for regular heating and cooling tune-ups in the evenings and on Saturdays (look for my heating and cooling tune-up specials on the Services page). Give me a call. I have been in the HVAC trade for over 30 years and realize that quality service must also be affordable during these expensive times. - E.P.A. Universal Refrigerant Cert.